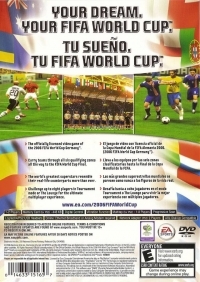 Box Text: The officially licensed video game of the 2006 FIFA World Cup Germany. Carry teams through all six qualifying zones all the way to the FIFA World Cup Final. The world's greatest superstars resemble their real-life counterparts more than ever. Challenge up to eight players in Tournament mode or The Lounge for the ultimate multiplayer experience. 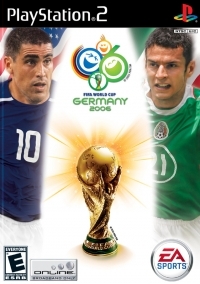 This is a list of VGCollect users who have 2006 FIFA World Cup in their Collection. This is a list of VGCollect users who have 2006 FIFA World Cup in their Sell List. This is a list of VGCollect users who have 2006 FIFA World Cup in their Wish List.